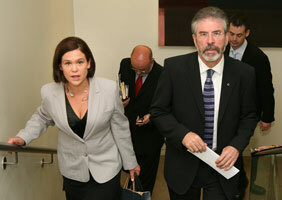 AFTER the Green Party’s Lisbon Treaty conference last weekend, where the party leadership failed to secure a two-thirds majority in favour of the treaty, Dublin MEP Mary Lou McDonald has invited those seeking a ‘No’ vote in the referendum to join with Sinn Féin in securing a better deal for Ireland. Sinn Féin has consistently advocated a robust and informed referendum campaign, she said. It is critical that the content of the Lisbon Treaty be outlined to voters to ensure that opponents fully engage with communities the length and breadth of the country in this debate. “There is no doubt that this will be a tough and difficult campaign for both sides. But I believe that we will be standing with the majority of people on this island who share our concerns about the direction of the EU and the power of the larger states. “It is the responsibility of all political parties and their representatives to conduct themselves during this debate in an accountable and mature fashion. To date, all we have seen from the ‘Yes’ campaign is scaremongering, mud-slinging and little, if any, substantive argument based on the content of the Treaty. Meanwhile, speaking at the Ógra Shinn Féin National Congress, Sinn Féin President Gerry Adams said the Lisbon Treaty is a bad deal for Ireland and should be rejected. “The Lisbon Treaty will involve the most substantial transfer of powers from member states to the European Council and Commission to date. The influence of smaller states will be reduced as the dominance of larger states is consolidated. 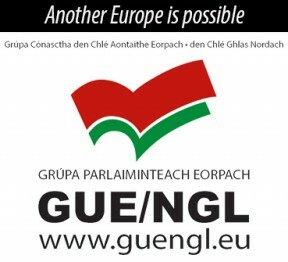 “It significantly accelerates the militarisation of the EU and advances an economic agenda based on a race to the bottom for wages and workers’ rights. “It will be a tough and difficult campaign. However, I believe that we will be standing with the majority of people on this island who share our concerns about the direction of the EU and the power of the larger states.